How I Gained It: I really can’t put my finger on exactly how I gained the weight, except to say that I always liked eating the wrong kinds of food — junk food, to be exact. Candy, cupcakes, chips and soda were my staples and I’ve always loved all of them. I was chubby even as a child, and over the years, I just continued to pack on the pounds. Most everyone in my family is heavy, but I refuse to blame my weight on genetics because quite frankly, they all ate the wrong kinds of food too. The way I see it, no one was forcing me to eat that piece of pie. Still, I just couldn’t seem to resist it! By the time I was in my early 20s, I weighed 180 pounds. I remember being heartbroken that my wedding dress was a size 20.5 when most of my bridesmaids were wearing a size 6 or 8. By the time I was in my early 30s, I had progressed to 200 pounds, and by my fifties, I had maxed out at 222. 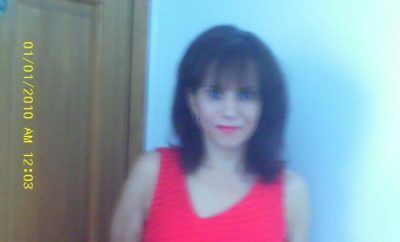 Throughout my life I tried different diet plans, such as Nutrisystem and Weight Watchers and I would always lose weight — around 70 or 80 pounds each time. But the moment I stopped the plan I would gain back all of the weight and then some. 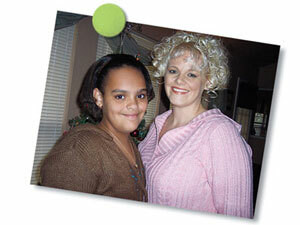 Breaking Point: I’ll never forget the day — I was driving with my husband and he told me that he wanted to start a diet. Now mind you, he was 6-foot-1 and weighed about 198 pounds — hardly overweight, but he wanted to lose a few pounds because his pants were getting tight. There I was sitting next to him at 222 pounds, knowing that if he was dieting then I needed to do something too, so I told him that I would join him. 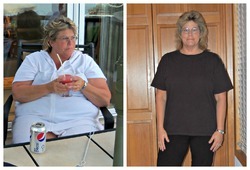 How I Lost It: When I started on my weight loss plan, I was resolved to do it myself this time around. I didn’t have to pay anyone to gain it and I was not going to pay anyone to lose it. No diet pills, no surgery, no formalized diet program, just my own plan and my own hard work. Once that part was decided, I tried to analyze why I had failed in the past. I could always lose weight, but could never keep it off. I also knew that whatever I did, I would have to keep doing for the rest of my life. I finally settled upon the notion that my “diet” wouldn’t be a diet at all — it would have to be a lifestyle change. Losing weight is all simple math, and I relied upon the old fashioned route of calories in versus calories out. I followed a 1,000-calories a day diet Monday through Saturday, and on Sundays, I would have a “reward day” in which I could eat whatever I wanted for the whole day. It was a great plan for me, because no matter how badly I wanted to “cheat” during the week, I knew that if I could just wait until Sunday, I could eat whatever I wanted. And whatever I did eat on Sunday was never enough to undo all the good that I had “banked” during the week. I lost five pounds in my first week on the plan, and after that, the weight came off steadily, about a pound or so a week. I’m sure that I could have taken off the weight more quickly if I had not given myself a week reward day, but I realize that if I had not had a day off to look forward to, I would not have been able to sustain the plan. I also exercised a little — about a half an hour of walking with my dog around the neighbourhood four or five times a week, but I wasn’t obsessive about fitness. It took me a year and a half to lose over a hundred pounds, and I have had the weight off for one year. I truly believe that the reward days were the secret to my success. In the past, whenever I dieted, I never, ever cheated, but as soon as I reached my goal, I ate like a nut because I had deprived myself for so long. Now that I have reached my goal, I still follow the same plan, except that I can have 1,300 to 1,400 calories a day with the reward day on Sunday. It has become a lifestyle for me now, but I know that I can never let my guard down on my weight or I will be right back where I started. How funny that after so many years of following diets strictly, my success all hinged on my “cheat day” each week! I now feel like I have finally beaten the beast and figured out how to maintain my weight loss, for the first time in my life. It is particularly rewarding because it has come at a time in life when most women tend to gain weight. As I’ve lost the weight, I’ve begun feeling better about myself, so I started wearing make up, doing my hair in the morning and paying attention to how I dressed. My husband now calls me “hot” and I love it. They say that good things come in threes. 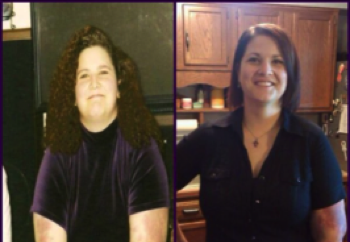 Number one, I lost 106 pounds; number two, I became more attractive to my husband. Now if I could only win the lottery for number three. 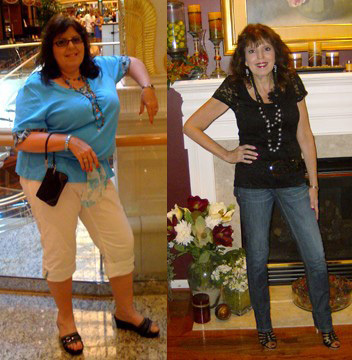 Linda is determined to maintain her 100-pound weight loss for life — with regular cheat days, of course.